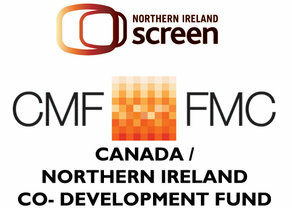 Northern Ireland Screen and The Canada Media Fund have announced an investment of over £112,000 (CAD$192,000) to support the co-development of audiovisual content under the Canada-Northern Ireland Co-Development Incentive for Audiovisual Projects. This is the first round of funding to be awarded since the incentive was launched in June. Canadian production companies will work with Northern Ireland companies in the development of four projects. Belfast’s Finepoint Films will work with Canada’s Ballinran Productions on ‘Tyrone Guthrie: The Stratford Experiment’, a feature documentary on the British theatre director with Irish roots who launched the Stratford Festival of Canada, and effectively created the concept of North American regional theatre. Holywood-based Flickerpix have teamed up with Arcana Studio to produce ‘New Pixies’, a children’s animated series based on the animated feature film ‘Pixies’. ShinAwil Productions will work with Premiere Bobine on ‘Our Father’, a darkly comedic thriller following the escapades of a con-man disguised as a priest. Village Films are working with Mattfilms on ‘Godley’, a detective drama serial set in Belfast with a strong female lead. To be eligible for funding, the selected projects were required to be intended for broadcast by eligible broadcasters in Canada and Northern Ireland, involving at least one Canadian producer and one Northern Ireland producer. The incentive funds television projects in the drama, documentary or children’s and youth genres, or digital media content made for other platforms. Projects were evaluated and chosen by a selection committee composed of representatives from both funding organizations. Funding from the Northern Ireland Screen Fund is with support from the Department for the Economy.